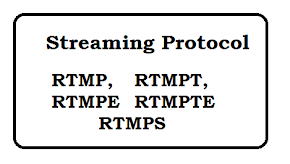 Question: What are different http status code? Question: How to safely upgrade an Amazon EC2 instance from t1.micro to large? Once snopshot done, then new to launch new instance. Simply launch it as a large instance at that point. Question: How to get the instance id from within an ec2 instance? Question: How to setup up FTP on Amazon Cloud Server? Question: What data is stored in Ephemeral Storage of Amazon EC2 instance? When you mount your EBS volume at /myNewWebsite, then anything not in /myNewWebsite will be lost. Question: Difference between EC2 and Elastic Beanstalk? EC2 service that allows you to create a Ec2 instance in the AWS. You pay by the hour. 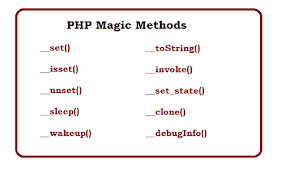 you can create n instance and do the setting for each instance. Elastic Beanstalk is one layer of abstraction away from the EC2 layer. 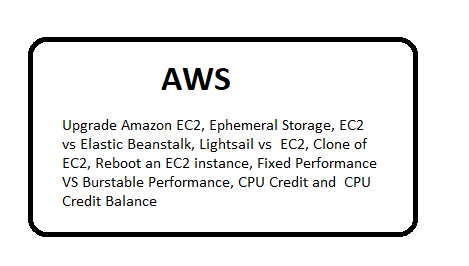 In Beanstalk will setup an "environment" for you that can contain a number of EC2 instances, an optional database, as well as a few other AWS components such as a Elastic Load Balancer, Auto-Scaling Group, Security Group etc. 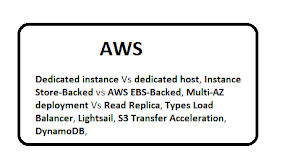 Question: What is difference between Lightsail and EC2? Lightsail is designed to be the easiest way to launch and manage a virtual private server with AWS. Lightsail plans include everything you need to start for your project – a virtual machine, SSD-based storage, data transfer, DNS management, and a static IP – for a low, predictable price. Question: How to make clone of EC2? You make an AMI of an existing instance, and then launch other instances using that AMI. 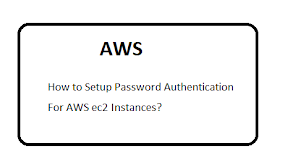 Question: .htaccess not working apache with my EC2 instance? Question: What happens when I reboot an EC2 instance? Its similar as we reboot the system. None of data is deleted. As per cost, no change in cost as they start charging when start instance and stop when terminate the instance. Question: What is difference between Fixed Performance / Burstable Performance Instances? AWS EC2 has 2 different type of instances: Fixed Performance Instances(for example M3, C3 etc) and Burstable Performance Instances (For example T2). Fixed Performance Instances provides a consistent CPU performance whereas Burstable Performance Instances provide a baseline CPU performance under normal workload and when the workload increase on server then increase the CPU performance. Question: What is CPU Credit? CPU Credit regulates the amount of "CPU performance" can be increased under workload. You can spend this CPU Credit to increase the CPU performance during the Burst period. 100% of CPU performance for 5 minutes, you will spend 5(i.e. 5*1.0) CPU Credit. Question: What is CPU Credit Balance? is simply the amount of CPU Credit available in your account at any moment.